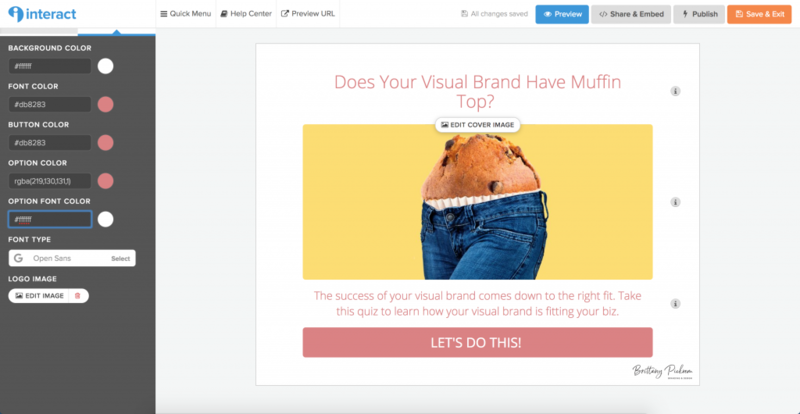 Why Build A Quiz For Your Biz? Over the past year, I’ve been testing out lots of things to grow my brand, but my most recent adventure with has been with building a quiz with Interact. Interact is an awesome online quiz-building software that helps you to generate leads for your business. 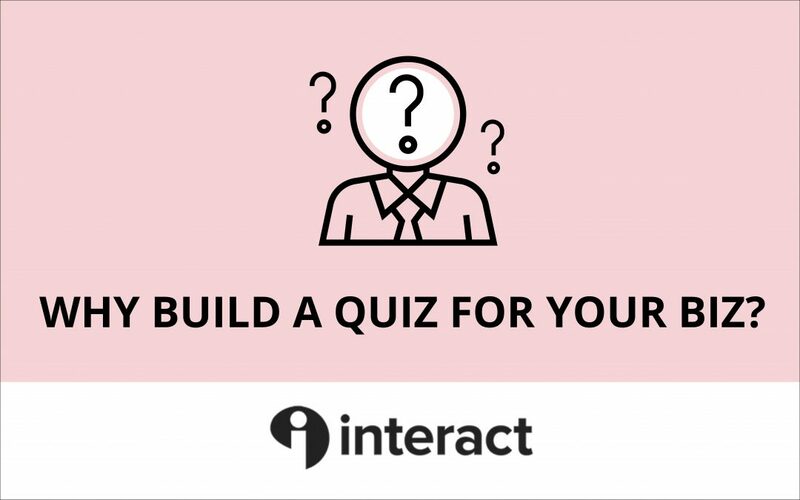 In this blog post, I’m going to share my experience using Interact as well as show you the final quiz I created using Interact’s software. When I first came across Interact I knew that it was the perfect fit for my brand and my business. Building my quiz has probably been THE most fun marketing material that I’ve designed for my business this year. Quizzes are such an effective list-building tool because everyone enjoys learning about themselves and others too! I Loved Building My Quiz with Interact! My overall experience using Interact was supportive and easy with super friendly and prompt service. Before I get into the specifics about why I loved working with Interact, I want to mention that I’ve never EVER built a quiz before. I’m also not a technically-minded person, but because Interact’s software is so intuitive I was able to set-up the quiz in about an hour. I’ve come up with a list of the top 5 things that I enjoyed the most about building my quiz with Interact below. 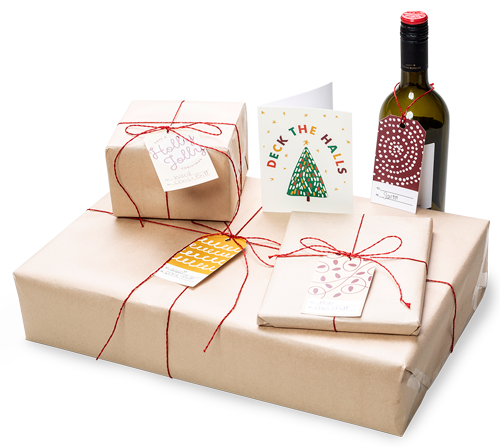 They say that first impressions are lasting impressions and Interact gave me warm fuzzy feelings right away. Whenever I had a question or needed clarification on something the Interact team was there to promptly answer me, despite our four hour time difference! 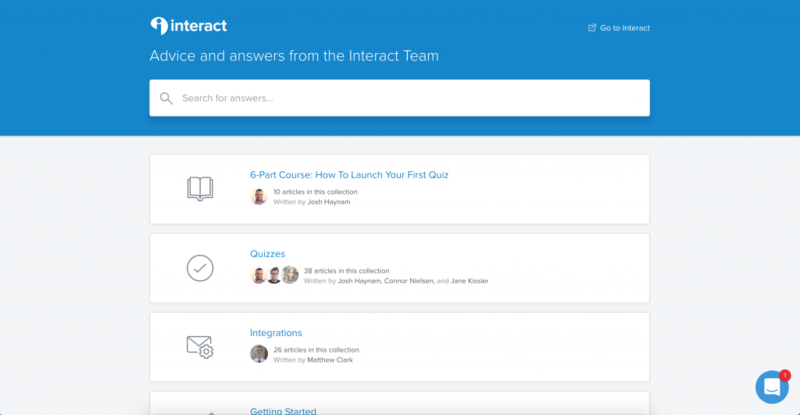 When you first sign-up with interact you’re invited to register for a live Quiz Demo that walks you through how to use the Interact interface. You’re able to ask questions in real-time and you will get responses right away. As someone who has grown up in, and works in a small city, I especially enjoyed the hands-on, personable nature of Interact’s customer service. Real people are there to talk to you, instead of an automated robot like so many other companies. A lot of times when I’m working on a new product or offer for my business there is some type of tech barrier for me and I typically have to call in someone else’s help to get it to work for me. This typically causes delays and generally slows me down. I was pleasantly surprised while working with Interact’s software that I was completely able to navigate it all on my own. When I did need some direction Interact had LOADS of ‘How to’ videos and blogs that were easy to access and quickly pointed me in the right direction. I can tell that the folks at Interact have gone to great lengths to make the actual quiz building process as painless as possible. Because the core offer of my business is Visual Branding and design services, I needed my quiz to really complement my established brand. I was really impressed that Interact allows you to greatly personalize the look of your quiz. You can fully customize all the images, fonts and colours of your quiz as well as upload your own logo. 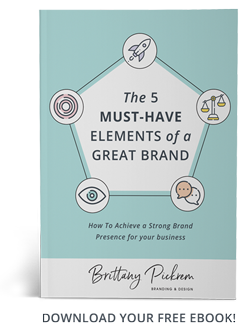 On the other hand, if you don’t want as much freedom with the branding and styling as I did, Interact also has you covered. You can choose from heaps of pre-made templates where design choices like colours, images and fonts are already pre-selected for you. 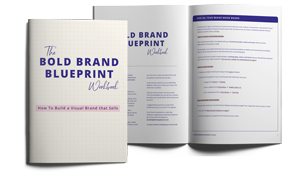 The templates are thoughtfully organized by industry so you can easily select a template that will be the right fit. There is a lot of planning and preparation that goes into creating the content for a quiz and if you’re going to invest your precious time and resource into building a quiz – you might as well make it count. Interact understands this and is compatible with dozens of CRM (Customer Relationship Management) tools. 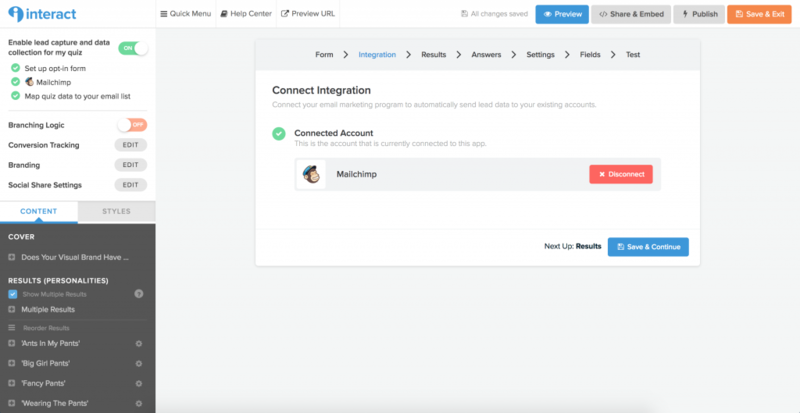 Integrating my quiz with MailChimp was effortless. I clicked a button, provided my log-in information and voilà! – my quiz was connected to my CRM. In particular, a really thoughtful touch was the direction that Interact provides on what to write for the follow-up email sequence to your leads that are captured at the end of the quiz. It was immensely helpful in determining what to write! One of the things I liked the most about Interact was how inclusive and versatile the quizzes are. 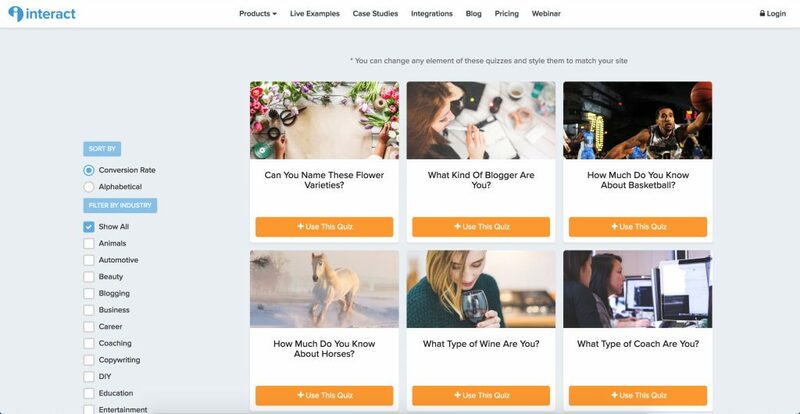 You can literally be part of any industry and easily use one of their quizzes for your own business. When someone shares their quiz results on social media it allows you to potentially reach new audiences that you might not ever have! In conclusion, if you are looking for effective, easy-to-use quiz building software – look no further than Interact. I’m confident that they will exceed your expectations. Interested in giving Interact a test drive? Click here for a FREE seven-day trial!